Disclosure: This post is part of our media visit to Busch Gardens Tampa provided by Busch Gardens, in exchange for coverage. However, typos, misspelled words and opinions are 100% mine. 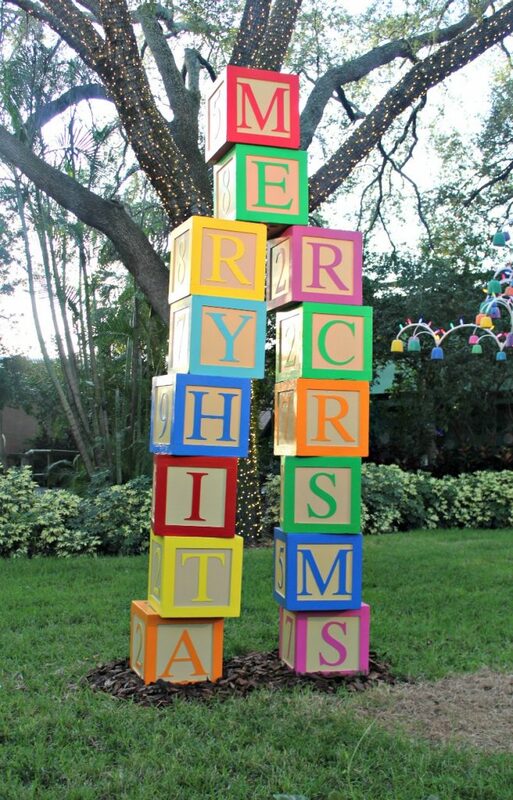 Busch Gardens® Tampa Bay is ready for the holidays! Every night until December 31, 2018, it’s Christmas Town™ every day with Santa, Rudolph & more. The park transforms into a holiday wonderland of entertainment and attractions, holiday shopping, treats and so much more.Enjoy millions of twinkling lights and visits to Santa’s House as well as the characters from the television special “Rudolph the Red-Nosed Reindeer”! Enjoy Yuletide shows, delicious holiday treats and much more. Christmas Town is included with admission or an Annual Pass. They have added some beautiful things you definitely need to check out. 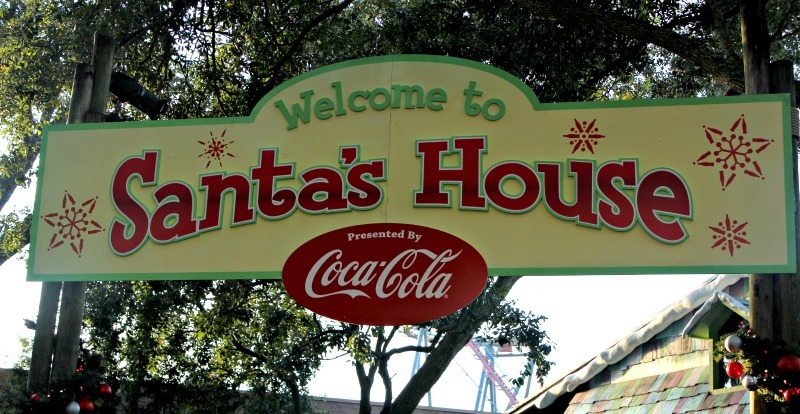 We’re going to share 5 things to see at Christmas Town at Busch Gardens. This is included in your park ticket. It is also available on certain dates. Do you have a little one? Do you want a great photo with Santa? Right near the train station, you will find Santa’s House nestled among beautiful decorations.Few things to keep in mind1. Lines will get longer as the night goes on. Going early will give you a better chance to enjoy a visit with Santa.2. Santa’s House opens at 3 PM.3. You will need to sign in at the desk and then wait your turn to meet Santa. Indulge in culinary delights featuring savory treats, festive sweets, seasonal menu items and holiday beverages that you will find throughout the park. You can opt for a traditional cookie and a mug of cocoa or get a bit more adventurous. 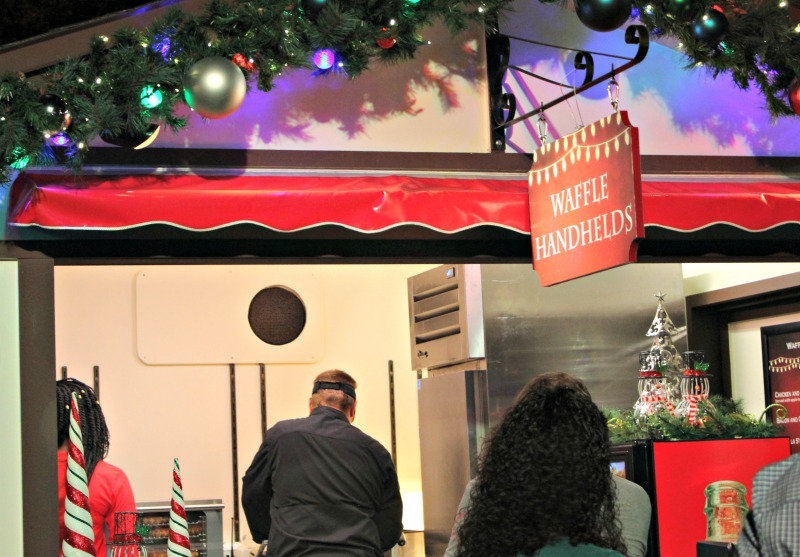 YUM!Here are a few of the options you can find in the Christmas Town Village. Many of your favorite rides will be open during the event. There are a few exceptions to this rule that should be acknowledged. 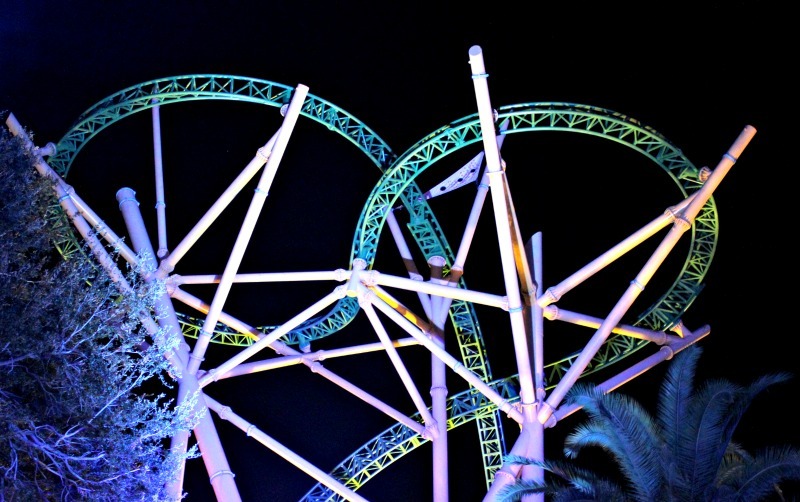 As the night goes on, rides like Cheetah Hunt will start to close down for the night. The train will also only depart from the station closest to the penguins. This is because this is a special sing-along train ride. If you are planning to ride certain rides, I recommend catching them earlier in the day so you can really enjoy all the added features that you will see after the sun sets. Busch Gardens puts on some fabulous shows during the holiday event. Here are a few of the shows you can expect during the event. Keep in mind that lines for seating will get long quickly. If you have your heart set on a specific show, make sure to get there in advance. 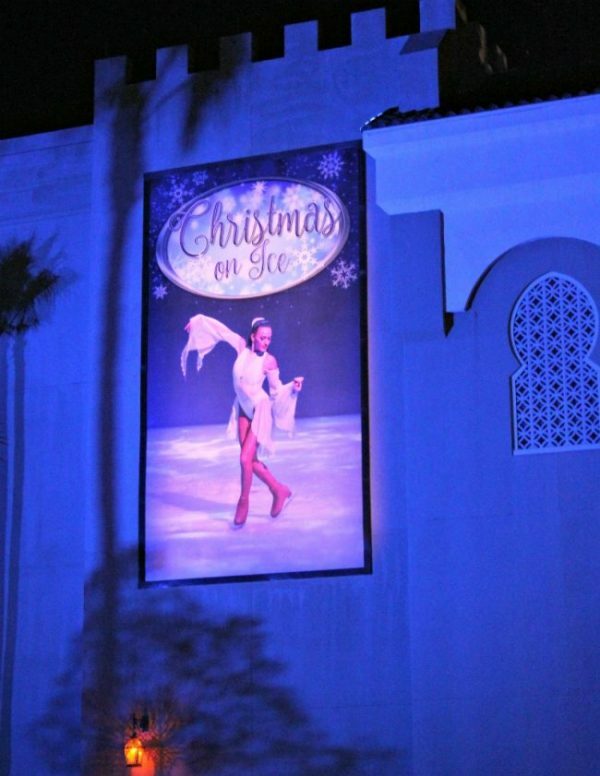 Christmas on Ice – This ice show has the longest wait. You may need to line up as much as an hour ahead of this show in order to see the show. Christmas from the Heart – This is a Christian Gospel show located in the Stanleyville Theater. Three Kings Journey – This show shares the story of the famous journey to Bethlehem. Elmo’s Christmas Wish – This show features your favorite Sesame Street characters in a Holiday themed show the kids are sure to enjoy. Christmas Town Band – This band brings Christmas to life with a Jazz flare you are sure to enjoy. 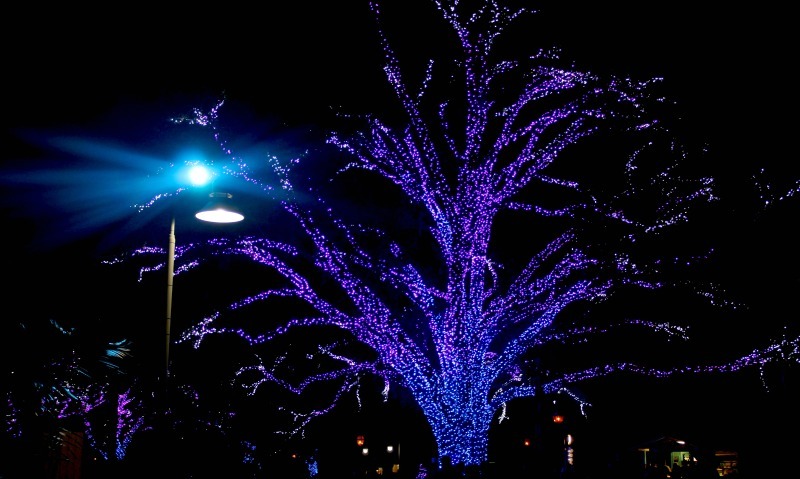 The park is covered the most beautiful decorations you won’t want to miss. Take some time out from riding the rides and enjoying all of the shows to enjoy the decorations. 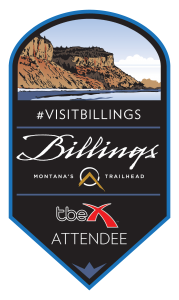 Themes will change depending on the area of the park you are in.Even better, you will have two different experiences based on the time of day that you walk around the park. Once the sun sets you will walk thru an entirely new world of decorations and lights that are sure to impress. 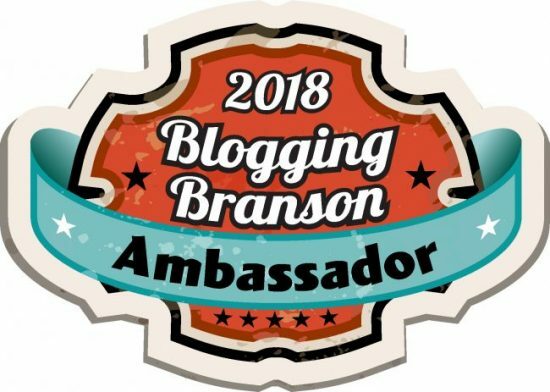 For additional information on this event, visit the Busch Gardens website.Meagan Goepferich is a Central Florida lifestyle blogger with a love for education and family fun! She loves writing, homeschooling her children and Disney. Follow Meagan on Twitter , Instagram, and Facebook.